Me: "..., my Angel, I know how God has allowed you to protect me in the past when I have gone to battle for souls that are lost, and I thank God and you for this gift. For you know I will go to battle again soon, as God wills it." Guardian: "I will be there." Guardian : "It is not by your appreciation that I serve." This is when I realized, that my angel served first out of love for God the Father, God the Son, God the Holy Spirit and then for the love for me. Our Guardian Angels have one of the hardest jobs in Eternity. First they love God and then they love the soul they have been given to guide, protect and defend on the souls journey back to God. Angels know no sorrow for they know the plan of the Creator is perfect. But if they could wish for anything it would be to be able to suffer for those they are in charge of, and then offer this suffering to the Father for them. 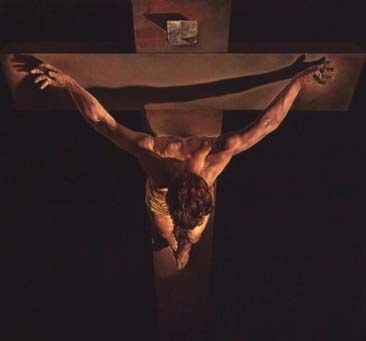 Angels cannot do this, because God did it for us on the Cross. But God in His mercy left us the gift of offering an oblation of our suffering to God for the salvation of the lost. "Take up your Cross and follow me." Not to seek any suffering but by accepting the smallest to the greatest suffering without complaint, and then offering it silently to the Father for the conversion of sinners. 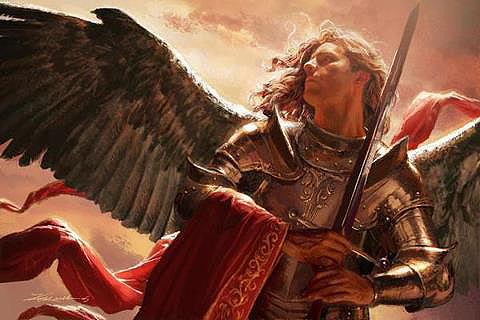 The Angel can guide, protect, and defend us, but he cannot offer an oblation by his own merit for any soul on Earth. 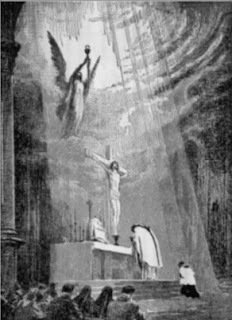 The closest and Angel comes to offering an Oblation to God for us is when the Angels take the Sacrifice of the Holy Mass before the Throne of God for us.